Quality TMI product. 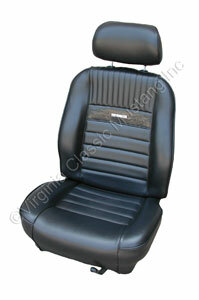 This is the best upholstery on the market. Update your original seats and keep that original look. This set gives you a more bolstered look along with a more comfortable, modern feel without any modifications. Headrests are not included. Please see part ST-981.